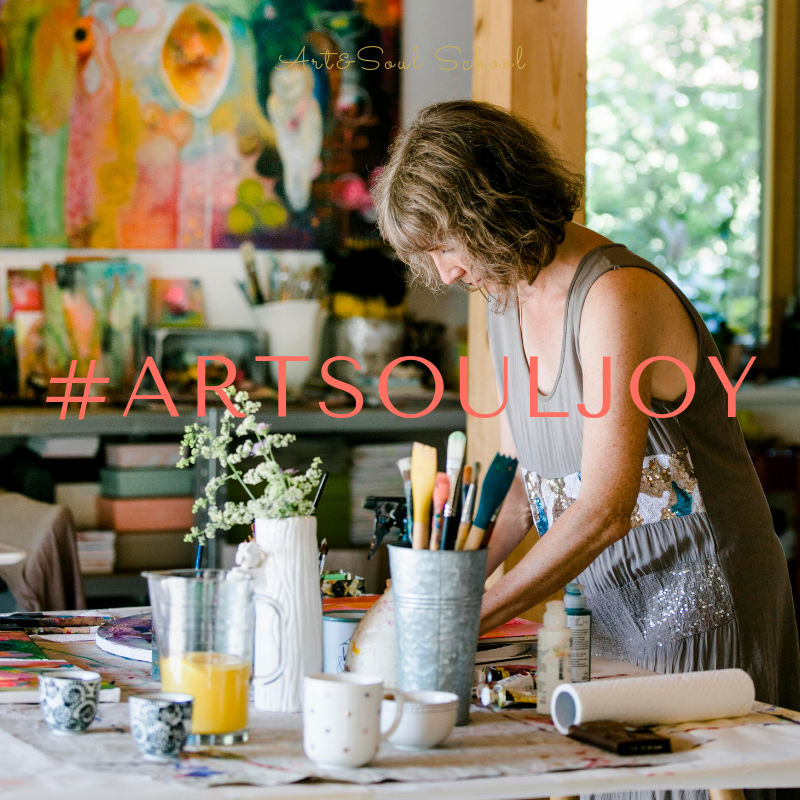 Tag your Instagram posts with our hashtag #artsouljoy to find others’ paintings and create more connection in the social media world. Together we create a new room on Instagram. This is kind a cool. Right?! So start sharing your love! This painting emerged in the last free training I gave in December 2018. I always like how things come to live when I paint in in a state of curiosity and with a childlike open mind. More live painting videos coming in the School also this year. I am so happy to paint with you.